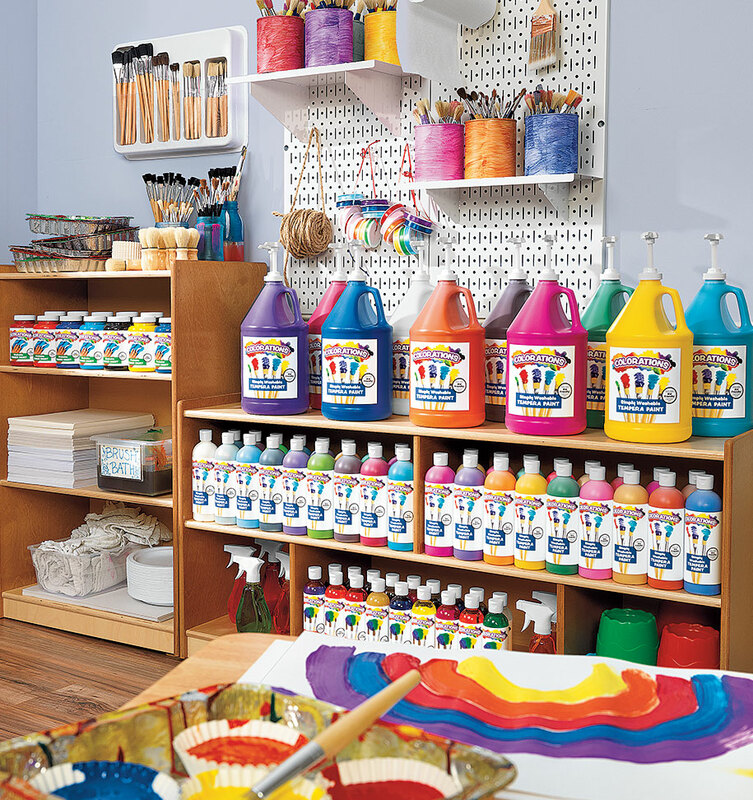 Purchase craft paint made specifically for children in a variety of colors. 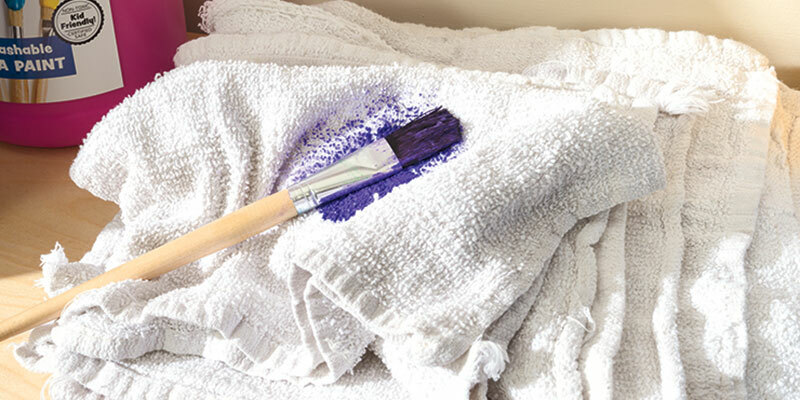 Check to make sure the paint is non-toxic. Look for these important indicators: AP certified emblem, certified ASTM D-4236 and the Kid Friendly Seal. 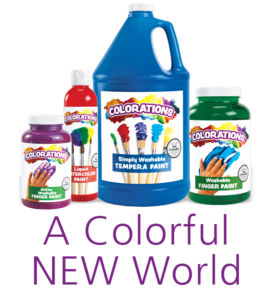 Colorations paint products carry all 3! Check to make sure the paint is appropriate for the child's age. You may wish to cover tables with disposable craft paper or newspaper for quick cleanups, or roll out white paper on the floor for group mural painting. Have plenty of paper towels or reusable shop rags within reach the entire time for spills or splatters. Start by showing the children artworks that others have done in the past. This can get them talking about what they might want to paint. Show them different techniques that others have used and how they can use them. Demonstrate how to properly hold a brush and apply paint to paper. 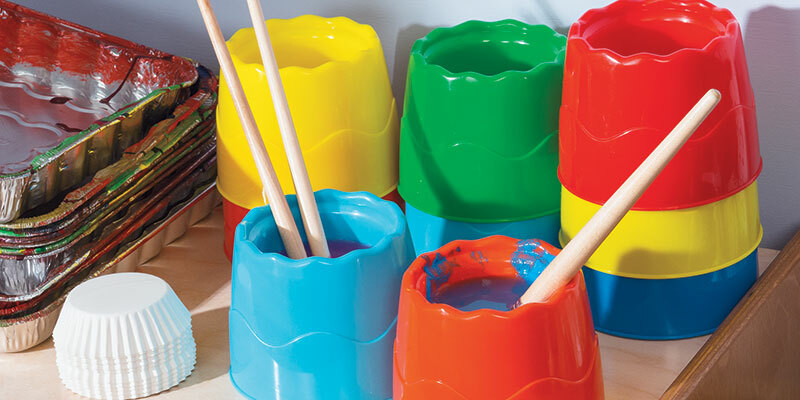 Show them how to wash a brush and switch to another color, and that they can mix colors together to create new colors. Make sure they understand there are no mistakes—only artistic discoveries. Children will enjoy painting and discussing their artwork with you and their friends. Make sure they take the time to look at what others are painting and from time to time ask the children to explain their painting to you and the class. 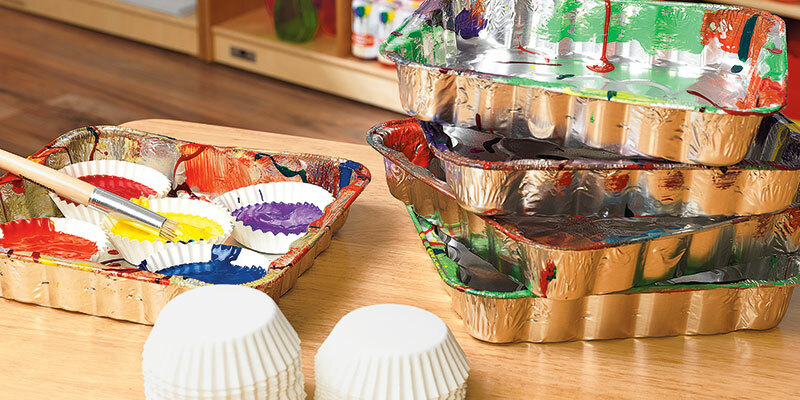 Place our disposable paint cups into reusable tins for a mess-free cleanup. 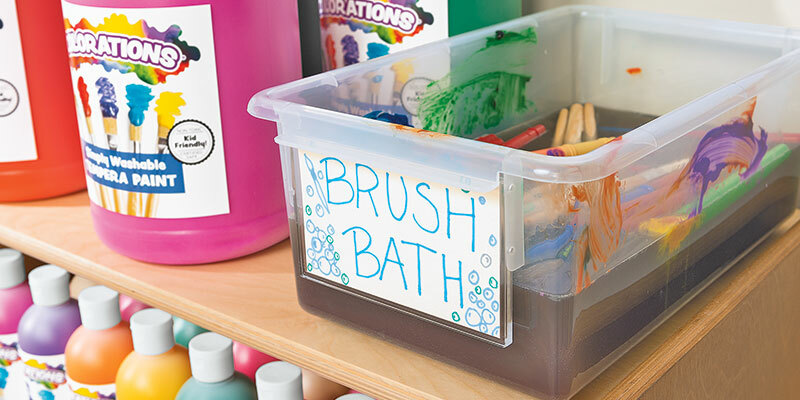 Show the kids how to drop their dirty brushes into the bath for a soak and easier cleanup. Using water cups with a wider base than top will prevent tipping while washing brushes. Investing in some laundry-safe shop rags can really cut down on wasting paper towels.